Table 1. Primers used for the detection of Staphylococcus spp., S. aureus and the mecA gene by multiplex PCR. Table 2. Comparison of the identification costs with the Vitek 2 system and multiplex PCR. Staphylococcus spp. – both S. aureus, including methicillin-resistant strains (MRSA) and coagulase negative staphylococci (CoNS) – are relevant agents of healthcare-associated infections. Therefore, the rapid recognition of MRSA and methicillin-resistant CoNS from blood stream infections is critically important for patient management. It is worth noting that inappropriate empiric therapy has been associated with higher in-hospital mortality. In this study we evaluated a multiplex polymerase chain reaction (multiplex PCR) standardized to detect Staphylococcus spp., S. aureus, and mecA gene-encoded oxacillin resistance directly from blood culture bottles. A total of 371 blood cultures with Gram-positive microorganisms confirmed by Gram-stain were analyzed. Results from multiplex PCR were compared to phenotypic characterization of isolates. Staphylococcus aureus was detected in 85 (23.0%) blood cultures and CoNS in 286 (77.0%). There was 100% agreement between phenotypic and multiplex PCR identification. Forty-three (50.6%) of the 85 S. aureus carried the mecA gene and among the 286 CoNS, 225 (78.7%) were positive for the mecA gene. The multiplex PCR assay developed here was found to be sensitive, specific, rapid, and showed good agreement with the phenotypic results besides being less expensive. This PCR method could be used in clinical laboratories for rapid identification and initiation of specific and effective treatment, reducing patient mortality and morbidity. Furthermore, this method may reduce misuse of antimicrobial classes that are more expensive and toxic, thus contributing to the selection of antibiotic-resistant Staphylococcus spp. Sepsis is the systemic response to infection and is the result of the complex interaction between the host's immune system and the infecting microorganism.1 Many bacteria are isolated from bloodstream infections, including Gram-positive and Gram-negative bacteria. According to the US Centers for Disease Control and Prevention (CDC),2 a clear change in the nature of the infectious microorganisms has occurred over the past decade, when Gram-positive cocci have exceeded Gram-negative bacilli as the main etiological agents of sepsis and Staphylococcus spp. have become the most prevalent agents. In view of the above considerations, rapid detection of bacteremia and the subsequent rapid identification of the bacteria involved and their susceptibility to antibiotics are of great diagnostic and prognostic importance. Multiplex polymerase chain reaction (PCR) allows to amplify genes of multiple pathogens and more than one specific DNA sequence of each pathogen using multiple sets of primers in a single reaction. This technique permits rapid detection and is effective in identifying pathogenic microorganisms in clinical samples, especially those that require urgent initiation of treatment. The aim of the present study was to evaluate the efficacy, accuracy and sensitivity of multiplex PCR in detecting Staphylococcus spp., S. aureus, and mecA gene-encoded oxacillin resistance directly from blood culture bottles. A total of 371 Staphylococcus spp. isolated from positive blood cultures between May 2011 and May 2012 were provided by the Laboratory of Microbiology at the Teaching Hospital of Botucatu Medical School, UNESP - Univ Estadual Paulista (City of Botucatu, São Paulo State, Brazil). The isolates included in the study were obtained on the day following growth detection in a Bactec 9120 system and after confirmation of containing probable Staphylococcus spp. by Gram staining (Gram-positive cocci) and positive catalase tests. The blood culture bottles were disinfected with 70% alcohol and 3mL of blood was collected with a 5mL syringe and 70×25-mm needle into two microtubes (1.5mL per microtube). One microtube was used for seeding onto blood agar for phenotypic identification and the other microtube was used for extraction of bacterial DNA for multiplex PCR. Phenotypic identification was performed at the Laboratory of Bacteriology, Department of Microbiology and Immunology, Botucatu Biosciences Institute, UNESP. The samples were seeded into blood agar and incubated for 24h at 37°C. After isolation from blood agar, the bacteria were submitted to Gram staining for confirmation of morphological staining characteristics, catalase test for characterization of the genus Staphylococcus, and coagulase test for differentiation between S. aureus and CoNS. Before DNA extraction, the samples were treated to remove interfering elements in the blood culture. The sample was centrifuged at 850×g for 2min.9 The supernatant was transferred to another microtube and again centrifuged at 11,000×g for 1min. The supernatant was carefully discarded, leaving only the pellet. Five hundred microliters of lysozyme buffer (1M EDTA, 0.1M NaCl, 10mM Tris, pH 8.0, and 5% Triton X-100) was then added to the pellet and the mixture homogenized in a vortex. Next, 800μL benzyl alcohol (Sigma) was added, the mixture homogenized in a vortex, and the microtube centrifuged at 7000×g for 5min.10 Two phases formed in the microtube, the lower phase contained the alcohol with interfering substances (inhibitors) and the upper phase the bacteria. For DNA extraction, 320μL of the liquid was removed from the upper phase and transferred to another microtube and 10μL lysozyme was added (10mg lysozyme in 1mL 10mM Tris–HCl). The microtube was homogenized in a vortex and incubated at room temperature for 15min, homogenizing the microtube at five-minute intervals. After this period, 10μL proteinase K was added and the mixture was incubated for 15min at 56°C, homogenizing the microtube at five-minute intervals in a vortex. The liquid (330μL) was transferred to a silica column provided by the Illustra extraction kit (GE Healthcare). This column was placed inside a tube and centrifuged at 11,000×g for 1min. Lysis solution (500μL) was added and the column centrifuged at 11,000×g for 1min. Next, 500μL washing solution was added and the column was again centrifuged at 11,000×g for 3min. The tube was discarded and the column was transferred to a microtube. Elution solution (200μL) pre-warmed to 70°C in water bath was then added to the column. After incubation at room temperature for 1min, the microtube was centrifuged at 11,000×g for 1min and the DNA obtained was stored in a freezer at −20°C. First, PCR was standardized using a range of annealing temperatures to establish the adequate annealing temperature for all primers (Table 1). Amplification was performed in an Eppendorf thermocycler. The amplification conditions were: 92°C for 3min, followed by 30 cycles of DNA denaturation at 92°C for 1min, annealing at 56°C for 1min, and extension at 72°C for 3min. The final reaction volume was 35μL containing 10.2μL autoclaved Milli-Q water, 3.5μL deoxyribonucleotide triphosphates (dNTP) (Life Technologies), 0.8μL Taq DNA polymerase (Biotools), 2.5μL MgCl2-free buffer (Biotools), 2.5μL MgCl2 (Biotools), 0.14μM of each 16S primer, 0.86μM of each MRS primer, 0.35μM of each SAU primer, 0.57μM of each COA primer, and 3.5μL of bacterial DNA. The amplification products were analyzed by electrophoresis on 3% agarose gel at 70V. The following controls were included in all amplification reactions: ATCC 33591 (mecA-positive S. aureus), ATCC 25923 (mecA-negative S. aureus), ATCC 12228 (mecA-negative S. epidermidis), and negative control (water). Primers used for the detection of Staphylococcus spp., S. aureus and the mecA gene by multiplex PCR. The sensitivity of multiplex PCR was evaluated by amplifying serial dilutions of S. aureus and CoNS control strains, starting with a dilution of 10−1 (corresponding to 107 CFU/mL) until 10−7 (10CFU/mL) based on a 0.5 McFarland standard (1.5×108CFU/mL). The specificity of multiplex PCR was evaluated by PCR using strains of other microbial species isolated directly from a culture and from positive blood culture bottles containing other bacterial species. The following species were analyzed: Enterococcus faecalis, Enterococcus faecium, Streptococcus viridans, Streptococcus pneumoniae, Candida spp., Gram-positive bacilli, Pseudomonas aeruginosa, Escherichia coli, Klebsiella pneumoniae, Acinetobacter baumannii, Enterobacter cloacae, Enterobacter aerogenes, Salmonella spp., Morganella morganii, and Proteus mirabilis. The isolates not carrying mecA gene although resistant to oxacillin by the disk diffusion test were submitted to the fowling tests to confirm if they were β-lactamase hyperproducers, and to confirm the resistance profile: nitrocefin disk test for β-lactamase hyperproduction; simplex PCR for mecA gene detection, cefoxitin by disk diffusion, and amoxicillin/clavulanic acid disk test for resistance confirmation. The kappa statistic was calculated to assess agreement between the methods used for the identification of Staphylococcus sp. A level of significance of 5% was adopted for all tests. Statistical analyses were performed using SSPS software version 19.0 (SSPS Inc., Chicago, IL). Identification by the phenotypic method detected 85 (23.0%) S. aureus strains and 286 (77.0%) CoNS strains in the 371 blood cultures analyzed. The disk diffusion test revealed oxacillin resistance in 43 (50.6%) S. aureus isolates and in 236 (82.5%) CoNS isolates. Multiplex PCR was standardized for genotypic identification of the genus Staphylococcus (16S rRNA gene), to differentiate coagulase-positive staphylococci and CoNS (coa gene), to identify S. aureus (S. aureus-specific gene), and to detect oxacillin resistance (mecA gene) directly from blood culture bottles (Fig. 1). Electrophoresis gel (3% agarose) of the products of multiplex amplification in blood cultures for the detection of Staphylococcus spp. and the mecA gene. Lane 1: 100–2000bp Ladder; lane 2: ATCC 33591 (mecA-positive S. aureus); lane 3: ATCC 25923 (mecA-negative S. aureus); lane 4: ATCC 12228 (mecA-negative S. epidermidis); lane 5: negative control; lanes 6 and 7: mecA-positive S. aureus isolate; lanes 8 and 9: mecA-negative CoNS isolate; lane 10: mecA-negative S. aureus isolate. Amplification was performed on all 371 isolates included in the study. In the case of the 85 S. aureus isolates identified phenotypically, there was 100% agreement with the multiplex PCR results, with amplification of the 16S rRNA, S. aureus and coa genes. Among the 286 CoNS isolates included, 100% agreement between the two methods was only observed in terms of amplification of the 16S rRNA gene. Amplification of the mecA gene was observed in 43 (50.6%) of the 85 S. aureus isolates; of these, 42 were resistant to oxacillin by the disk diffusion test and one isolate was susceptible. Among the 42 (49.4%) mecA gene-negative isolates, 41 were susceptible by the disk diffusion method and one isolate was resistant. The mecA gene was amplified in 225 (78.7%) of the 286 CoNS isolates; of these, 218 were resistant to oxacillin by the disk diffusion test and seven were susceptible. Among the 61 (21.3%) mecA gene-negative CoNS isolates, 43 were classified as susceptible by the disk diffusion test and 18 were resistant. Among the 19 isolates not carrying mecA gene although resistant to oxacillin by disk diffusion test, all were positive by nitrocefin disk test and cefoxitin disk diffusion test. On the other hand, six isolates were resistant to amoxicillin/clavulanic acid by disk diffusion test. In the sensitivity test, amplification of fragments was observed up to a dilution of 10−5 (103CFU/mL) for CoNS and of 10−2 (106CFU/mL) for S. aureus, as shown in Fig. 2. Analysis of specificity using isolates of other species revealed no amplification of any fragments of the genes investigated by multiplex PCR (Fig. 3). Sensitivity of multiplex PCR. Electrophoresis gel showing the amplification of different dilutions of CoNS and S. aureus. Lane 1: 100–2000bp molecular weight marker; 2: mecA-positive S. aureus ATCC; 3: S. epidermidis ATCC; 4: CoNS 10−7 dilution (10CFU/mL); 5: 10−6 (102CFU/mL); 6: 10−5 (103CFU/mL); 7: 10−4 (104CFU/mL); 8: 10−3 (105CFU/mL); 9: 10−2 (106CFU/mL); 10: 10−1 (107CFU/mL), 11: S. aureus 10−7 dilution (10CFU/mL); 12: 10−6 (102CFU/mL); 13: 10−5 (103CFU/mL); 14: 10−4 (104CFU/mL); 15: 10−3 (105CFU/mL); 16: 10−2 (106CFU/mL); 17: 10−1 (107CFU/mL); 18: 100–2000bp molecular weight marker. Electrophoresis gel illustrating the specificity of multiplex PCR. Lane 1: 100–2000bp Ladder; 2: mecA-positive S. aureus ATCC; 3: mecA-negative S. aureus ATCC; 4: CoNS ATCC; 5: Salmonella spp. ; 6: Proteus mirabilis; 7: Morganella morganii; 8: Klebsiella pneumoniae; 9: Pseudomonas aeruginosa; 10: Acinetobacter baumannii; 11: Enterobacter cloacae; 12: Enterobacter aerogenes; 13: E. coli; 14: E. faecalis; 15: E. faecium; 16: Streptococcus viridans; 17: Streptococcus pneumoniae; 18: Candida spp. ; 19: Gram-positive bacilli. The cost of multiplex PCR and the automated Vitek 2 system, the system used for direct bacterial identification in blood cultures at the Laboratory of Microbiology, Department of Internal Medicine, University Hospital, Botucatu Medical School, UNESP, was lower than the phenotypic method (Table 2). Comparison of the identification costs with the Vitek 2 system and multiplex PCR. Investigation of the coa gene included in the multiplex assay for detection of all coagulase-positive staphylococci and the use of the S. aureus-specific SAU primer permit to establish whether the isolate is S. aureus or not. In addition to the detection of Staphylococcus spp., the multiplex assay proposed in this study also included investigation of the mecA gene to detect oxacillin resistance, in order to guide patient treatment at the time of identification. Pereira et al.19 developed a multiplex PCR assay that directly identified three Staphylococcus spp. species, S. aureus, S. epidermidis and S. haemolyticus, and the mecA gene in blood cultures, but this identification was restricted to these species. The multiplex assay standardized in this study permits the detection of all staphylococcal species isolated from bacteremias. The multiplex PCR was tested using 371 samples, 13 blood culture samples containing other bacterial species and bacterial DNA of other species directly from bacterial culture, showed good sensitivity and specificity. In addition to being specific, our multiplex PCR assay exhibited a detection threshold of MRSA of 106CFU/mL. Similar thresholds have been reported in other studies.20 The threshold may decrease with increasing number of amplified genes, but even so the threshold found in this study was within the proposed range of detection since, according to Pereira et al.,20 positive blood cultures present a growth of about 109CFU/mL. The only discrepancy observed in this study was the detection of the mecA gene by the standardized multiplex PCR assay and susceptibility to oxacillin in the phenotypic test, with the mecA gene not being detected in 19 isolates resistant to oxacillin (one S. aureus isolate and 18 CoNS isolates). In these isolates, the mecA gene was detected by simplex PCR, confirming the results of multiplex PCR. This discrepancy has also been reported in other studies20–23 and may be related to other types of resistance such as β-lactamase hyperproduction or modification of another PBP. Furthermore, eight isolates were positive for the mecA gene and were susceptible in the phenotypic test (one S. aureus isolate and 7 CoNS isolates). These findings highlight the importance of genotypic techniques for the detection of oxacillin resistance, but do not rule out the need for other phenotypic techniques to initiate more specific and effective treatment. The implementation of a molecular biology technique such as multiplex PCR to assist in the rapid diagnosis of bloodstream infections may be associated with high costs for the institution. A cost analysis performed in the present study showed that the identification of species in culture, i.e., after detection of a positive blood culture with the Bactec system, its seeding on culture plates and identification, which is done with the Vitek 2 system at the Laboratory of Microbiology in Botucatu Medical School has an average cost of US$ 6.76. In the case of multiplex PCR, which does not require seeding of the blood culture for isolation of the microorganisms since it uses direct identification from blood culture bottles, DNA extraction and PCR amplification for detecting Staphylococcus spp., S. aureus, and the mecA gene were estimated to cost US$ 4.35 per isolate. The multiplex PCR assay developed here was found to be sensitive, specific, rapid and less expensive than the phenotypic technique used, and showed good agreement with the phenotypic results. This method could be used in clinical laboratories for rapid identification and initiation of specific and effective treatment, reducing patient mortality and morbidity. Furthermore, this method may reduce the misuse of other antimicrobial classes that are more expensive and toxic, thus contributing to the selection of antibiotic-resistant Staphylococcus spp. São Paulo Research Foundation (FAPESP Grant 2010/14250-0) and National Council for Scientific and Technological Development (CNPq) for financial support. S.S. Magill, J.R. Edwards, W. Bamberg, et al. Multistate point-prevalence survey of health care-associated infections. List of Prokaryotic Names with Standing in Nomenclature: LPSN. Staphylococcus, Micrococcus and the other catalase-positive cocci that grow aerobically. B. Springer, U. Orendi, P. Much, et al. Methicillin-resistant Staphylococcus aureus: a new zoonotic agent?. Methicillin-resistant Staphylococci: genetics and mechanisms of resistance. T.T. Lim, G.W. Coombs, W.B. Grubb. Genetic organization of mecA and mecA-regulatory genes in epidemic methicillin-resistance S. aureus from Australia and England. T.D.L. Kaiser, F.C. Pacheco, A.A. Lima, E.M. Pereira, K.R.N. Santos, A.P.F. Nunes. Avaliação de métodos comumente usados em laboratório para a determinação da suscetibilidade à oxacilina entre amostras de Staphylococcus spp., isoladas de um Hospital de Vitória, estado do Espírito Santo. G.M. Hogg, J.P. Mckenna, G. Ong. Rapid detection of methicillin-susceptible and methicillin-resistant Staphylococcus aureus directly from positive BacT/Alert® blood culture bottles using real-time polymerase chain reaction: evaluation and comparison of 4 DNA extraction methods. Improved amplification of microbial DNA from blood cultures by removal of the PCR inhibitor sodium polyanetholesulfonate. Clinical and Laboratory Standards Institute (CLSI). Performance standards for antimicrobial susceptibility testing. A. Martins, V.C. Pereira, M.L.R.S. Cunha. 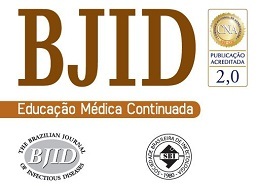 Oxacillin resistance of Staphylococcus aureus isolated from the university hospital of Botucatu Medical School in Brazil. O. Cuevas, E. Cercenado, M.J. Goyanes, et al. Staphylococcus spp. in Spain: present situation and evolution of antimicrobial resistance (1986–2006). Estudo da produção de beta-lactamases e sensibilidade às drogas em linhagens de Estafilococos coagulase-negativos isolados de recém-nascidos. W. Woods, K. Ramotar, P. Lem, B. Toye. Oxacillin susceptibility testing of coagulase-negative staphylococci using the disk diffusion method and the Vitek GPS card. S. Chang, D.M. Sievert, J.C. Hageman, et al. Infection with vancomycin-resistant Staphylococcus aureus containing the vanA resistance gene. Staphylococcus aureus and coagulase-negative staphylococci: virulence antimicrobial resistance and molecular epidemiology. Risk factors and costs associated with methicillin-resistant Staphylococcus aureus bloodstream infections. E.M. Pereira, R.P. Schuenck, K.L. Malvar, et al. Staphylococcus aureus, Staphylococcus epidermidis and Staphylococcus haemolyticus: methicillin-resistant isolates are detected directly in blood cultures by multiplex PCR. V.C. Pereira, A. Martins, L.M.S.S. Rugolo, M.L.R.S. Cunha. Detection of oxacillin resistance in Staphylococcus aureus isolated from the neonatal and pediatric units of a Brazilian teaching hospital. F.J. Schimitz, C.R. Mackenzie, B. Hofman, et al. Specific information concerning taxonomy, pathogenicity and methicillin resistance of staphylococci obtained by multiplex PCR. J. Caierão, S. Superti, C.A. Dias, P.A. d’Azevedo. Automated systems in the identification and determination of methicillin resistance among coagulase negative Staphylococci. A. Kilic, K.L. Muldrew, Y.W. Tang, A.C. Baustaoglu. Triplex real-time polymerase chain reaction assay for simultaneous detection of Staphylococcus aureus and coagulase-negative staphylococci and determination of methicillin resistance directly from positive blood culture bottles. R. Riffon, K. Sayasith, H. Khalil, P. Dubreuil, M. Drolet, J. Lagacé. Development of a rapid and sensitive test for identification of major pathogens in bovine mastitis by PCR. W.J. Mason, J.S. Blevins, K. Beenken, N. Wibowo, N. Ojha, M.S. Smeltzer. Multiplex PCR protocol for the diagnosis of staphylococcal infection. A.M. Kearns, P.R. Siders, J. Wheeler, R. Freeman, M. Steward. Rapid detection of methicillin-resistant Staphylococci by multiplex PCR. K. Murakami, W. Minamide, K. Wada, E. Nakamura, H. Teraoka, S. Watanabe.